This month’s focus at Kids Yoga Stories is on Latin America. I’ve been posting volcano pictures, books ideas, travel blogs, recommended guidebooks, and the like on my Kids Yoga Stories Facebook Page. 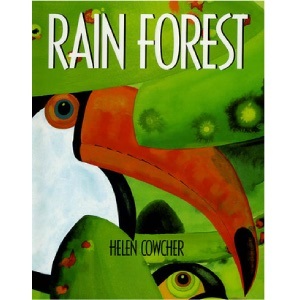 Of course, I had to make a list of cool rainforest books – with fond memories of teaching Grade 3s. 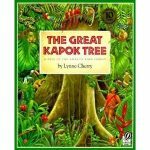 Bring the jungle into your home, classroom, studio or with you on your next adventure with these fun Rainforest Books. Share your favorite Rainforest Books on our Kids Yoga Stories Facebook Page. by Eric CarleAnother Eric Carle classic with engaging language and cool illustrations. by Lynne CherryIntricate illustrations and an environmental message of the preciousness of our jungles. 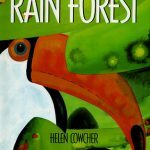 by Helen CowcherLearn how the animals save the forest from the loggers. 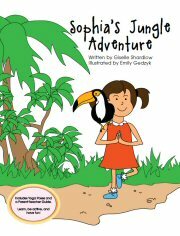 by Giselle Shardlow, illustrated by Emily GedzykBased on my own experience in Costa Rica, a kids yoga sequence woven through a jungle story. 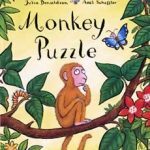 by Julia DonaldsonA monkey searches for his mother in the jungle. A sweet story. Also printed as Where’s my Mom?. Thanks to Danya Webb for this recommendation. 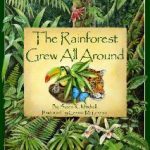 by Susan K. MitchellAdapted from the song “The Green Grass Grew all Around” to learn about the animals of the rainforest. Thanks to Angela from OMazing Kids for this recommendation.